I recently returned from a period of retreat and instruction with His Eminence Gyaltsab Rinpoche, regent of the Karma Kagyu lineage. I consider myself fortunate to have had the opportunity to continue to spend time at his monastery- Palchen Chosling-in Sikkim and to receive precious guidance from him. While at Palchen Chosling, His Eminence also empowered me as a repa; a tantric yogin following in the foot steps of Mila Shepa Dorje (Jetsun Milarepa)- I am profoundly grateful and moved by Rinpoche’s kindness in offering me the chance to follow this particular path. I also am also curious as to how I can bring this experience to the people who I visit at the hospital (and everywhere else). During my stay at Palchen Chosling, a few threads of thought wove themselves throughout my experience of the breaks between meditation sessions, while wandering the mountain roads down to Old Ralang monastery, Karma Rabten Ling, which was founded under the guidance of the 12th Karmapa, Changchub Dorje, and at various other points throughout the day. These contemplations are something that I would like to share with you, as they brought some meaning for me, reinforcing a sense of wonder and awe surrounding spiritual practice. There was a moment while His Eminence was teaching when I was struck by the power of the lineage teachings. In that moment their efficacy felt particularly potent, as did the enduring effect of the power of the single pointed application of the teachings by a number of past lineage holders as well hitherto unknown practitioners. It felt as if I could easily connect with those who had gone before me, and that their presence, or perhaps their residual blessings remained for anyone to feel who treads the shared path. I felt that there must be hundreds of practitioners who experienced awakening for every one who became well known- indeed, I suspect that perhaps more people than we know have derived great benefit from the practice of such liberating instructions. Inspired in this way, I kept coming back to wondering about Dusum Khyenpa, the first Karmapa. I wondered about the rich and full life of practice that he lived, and the wide range of emotions that he brought to his experience of the dharma. His pain and jealousy, which at times was murderous seem so common, so ordinary, that they are very easy to identify with. From these common emotional roots Dusum Khyenpa fully integrated the teachings presented by both Gampopa as well as Rechungpa. To this end, as an indication of the clarity and depth of his experience, Dusum Khyenpa reappeared after his death in the form of Karma Pakshi, the second Karmapa, thus beginning the first and oldest established reincarnation lineage found anywhere in Tibetan Buddhism. 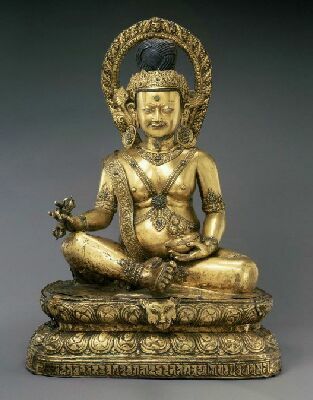 Karma Pakshi was a great mahasiddha. His intensity and great spiritual abilities in many ways appear to be a natural result of the depth of the effort as well as the unique blessings of the Karma Kagyu dharma. 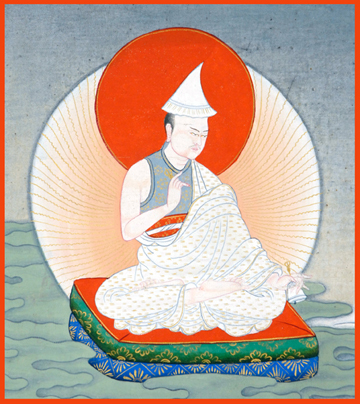 It makes sense that he arose after Dusum Khyenpa passed away; it seems that arising in the form of Karma Pakshi expressed the true nature of the activity of Dusum Khyenpa. In reflecting upon this, I have been reminded of how it is said that from time to time within our practice it is possible to begin to traverse the bhumis, and yet not manifest all of the signs that indicate our awakening until we have died and take up our new Nirmanakya “form”- perhaps this is the case with Dusum Khyenpa and Karma Pakshi. I was left to wonder, or perhaps return to, a very old question: Is the liberation expressed by Dusum Khyenpa a result of his already being a great being capable of more than most of us? Or, is his liberation a result of the efficacy of the dharma when put into practice with all of our heart? My intuitive reaction to the power of His Eminence’s teaching left me to feel that this dharma, imbued with the still-fresh warm breath of the dakinis, has an ability to completely change our experience of reality. Certainly, one cannot remove or even separate the blessings of all of the great masters of the past who have held any given lineage of instructions we receive. They have left their mark, imbuing the dharma with their particular seal, something that we can interact with centuries later. Indeed, it is often written that connecting with the blessings of this lineage is part of the power of the experience, a fundamental ground upon which realization may dawn. Asking these kinds of questions help us to truly recognize the powerful nature of dharma. Such questions impact the way we frame our own potential; the way we allow ourselves to define the possibilities of our own enlightenment; they are clear illustrations of just what we will permit ourselves to do. These questions are natural, but great care should be given in answering them- there is always a chance that we may undercut ourselves and cease to allow ourselves to mutually let the dharma sink into our experience of life while simultaneously letting ourselves sink into the dharma, thereby letting experiences arise naturally. If we don’t allow ourselves to fully blend with the dharma and arise within it awakened within ourselves what is the point of taking great care in applying the dharma to our lives? Wondering whether great masters are special beings- essentially separate from you and I, or whether they simply allowed themselves to rely upon and integrate the dharma in their own individual way, unique and appropriate to their perceptual matrix, and that in so doing, came to illustrate the power of the dharma, has gone on for centuries. It is a meaningful subject of contemplation. Such reflections not only figure largely within the namthar- or liberation story- of Jetsun Milarepa, but was a point of controversy within the composition, collation and dissemination of the numerous versions of his namthar between the 13th and 18th centuries. Dr. Peter Alan Roberts’ The Biographies of Rechungpa: The evolution of a Tibetan hagiography, offers a wonderful description of the many existent biographies of Milarepa as well as a very compelling analysis of the evolution of Milarepa’s biography. As one would expect, while there is a shared narrative between most of these biographies, there is a range of focus upon particular aspects of the life of Shepa Dorje. Indeed, anyone with even a small interest in hermeneutics will recognize that what is really known of the life of Jetsun Milarepa is, and has been, open to much interpretation. Such is also the case with the often over simplified polarized roles of Jey Gampopa (monk) and Rechungpa Dorje Drak (yogin), the two most well-regarded disciples of Milarepa. To truly asses their exact nature historically is much like trying to ascertain the actual distinctive differences between Jesus’ disciples- no small feat! And yet, despite the fact that nearly a millenia has passed since the time of Jey Milarepa we do have some idea as to who he was and what he embodied. Roberts’ work opens up a lot of places for creative enquiry not only around the life of Milarepa and Rechungpa, but of the re-telling of the Kagyu story from the prevailing monastic perspective. Related subjects also include what I would call the “cross-over” issues that faced tantric Buddhism as it became ensconced within a monastic setting; some of the questions around these topics continue to this day. Many of the questions that arise from his work seem especially important to ask oneself as one treads the path of the Kagyu lineage in general. It appears that through asking such questions we open ourselves to gaining greater certainty for ourselves as to how, and in what way, we want to relate not only to the transmission lineage of our practice, but also the essential embodiment uniquely expressed by each lineage master. Apparently, in most of the collections of the life of Milarepa, he is described as an emanation of Manjusrimitra– an important early lineage holder of dzogchen practice. 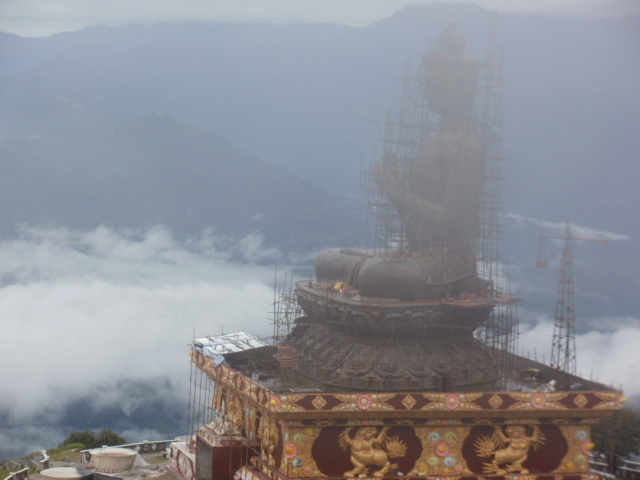 This view was suggested as early as the 14th century in the work of as yet determined authorship entitled The Life and Songs of Shepa Dorje, the best known collection of Milarepa’s songs before Tsangnyon Heruka‘s Hundred Thousand Songs of Milarepa. 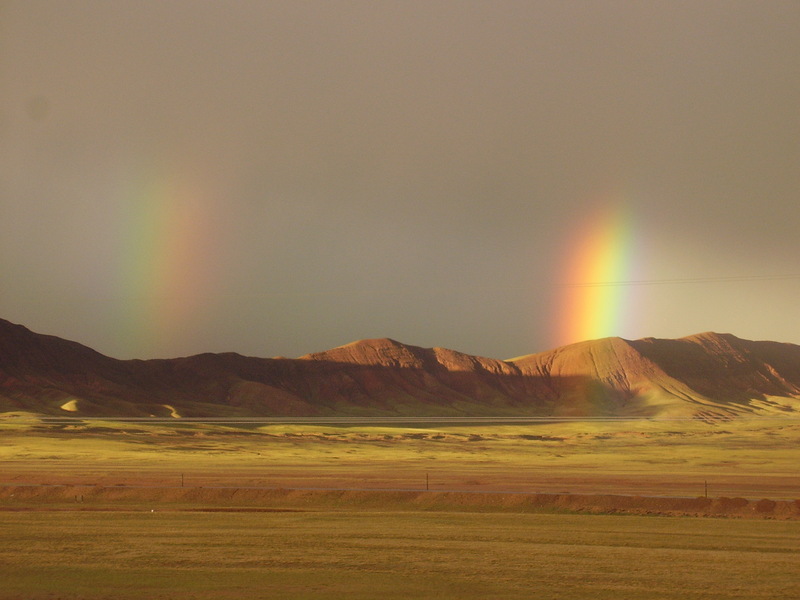 This view was supported by Kachö Wangpo, Jamgon Kongtrul Lodro Thaye as well as Ngari Terton Dawa Gyaltsen. The general view of Milarepa as an emanation is first known to be maintained by Gampopa, and is then supported by Lama Shang and Donmo Ripa. In Tsangnyon Heruka’s biography of Milarepa, which in translation has become the singular source of the details of the life of Milarepa, we find a dramatic departure from the view expressed by these past masters: Milarepa is portrayed as a normal sentient being! ‘Lama Rinpoche, it seems to me that you are either the incarnation of Vajradhara Buddha and that you engage in all these actions for the benefit of sentient beings, or you are a great Bodhisattva who has attained the state of “Non-returning” and who has accumulated immense merit for many aeons. In you, I see all the characteristics of a true yogin who sacrifices his life for the Dharma practice. We humans cannot even conceive the extent of your asceticism and your devotion to your lama, let alone practice it ourselves. If we dared to practice in this way, our bodies could not bear such an ordeal. That is why it is certain that you were a Buddha or Bodhisattva from the very beginning. And so, although I am incapable of religion, I believe that we sentient beings will be led toward liberation from samsara through seeing your face and hearing your words. Revered Master, I be you to tell us if you are the incarnation of a Buddha or a Bodhisattva. ‘I never heard whose reincarnation I am. Maybe I am the reincarnation of a being from the three lower realms, but if you see me as a Buddha you will receive his blessing by virtue of your faith. Although this belief that I am an incarnation springs from your devotion to me, actually there is no greater impediment to your practice. It is a distortion of the true Dharma. The fault lies not in recognizing the true nature of the achievement of great yogins. The Dharma is so effective that even a great sinner like myself has reached a stage not far from Enlightenment due to my own belief in karma, my subsequent renunciation of the aims of worldly life, and due especially to my single-minded devotion to meditation. Milarepa is incredibly clear: Although this belief that I am an incarnation springs from your devotion to me, actually there is no greater impediment to your practice. It is a distortion of the true Dharma. The fault lies not in recognizing the true nature of the achievement of great yogins. He goes on to further stress the importance of contemplating impermanence, karma, and the development of renunciation towards worldly dharmas along with the importance of applying great effort in the practice of meditation. This is his path, the way in which he expresses his practice: great simplicity. 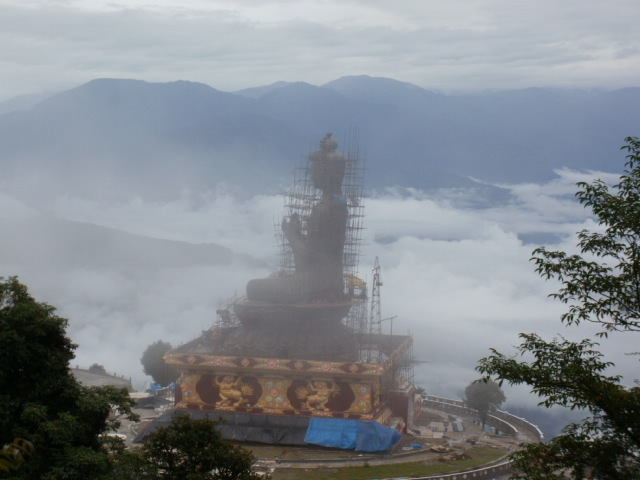 Why do we tend to ask questions like the one offered by Bodhi Raja of Ngandzong? Or maybe the better question is: what happens when we don’t ask whether or not we can fully express our infinite potential, and just let ourselves grow and change the way that we will? What happens if we apply the essential instructions that clarify our understanding and relationship with our mind, placing special care to also apply such instructions to our expectations towards our potential, towards the ideas of progress, even time, or the notion of physical place? Let go of what may arise. Let go of modulating (examining). Let go of trying to control (there is nothing to do). Let the mind rest in its natural state. When we consider where “we” are in relationship to time, to location, and to general appearance, in a genuine heartfelt way, our inner scaffolding, the need for support, and the gentle movement of our clouds of doubt and subtle obscuration begins to dissipate. The rays of our natural light shines- the question of when, where, how and why lose imminence; they are answered with a silent knowing, and inner surety. Might this be what liberated Milarepa? Perhaps this is the achievement of great yogins to which Milarepa refers. 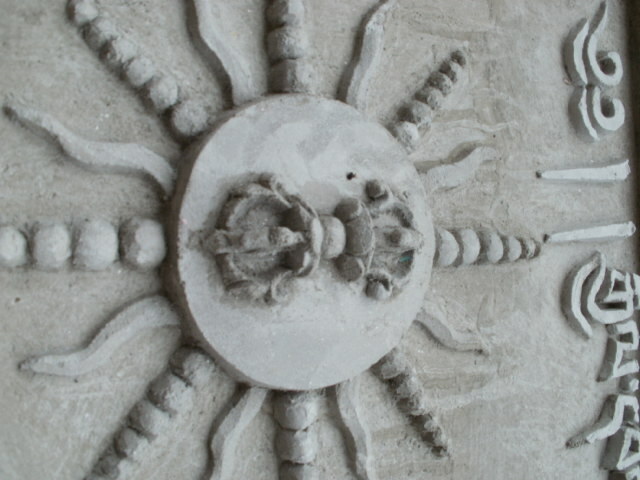 While these rays, innate representations of our stainless purity, our undeniable inheritance, an immovable storehouse of blessings, empowerment and transmission, are known and experienced at times in a way that might initially appear shaky and tentative, it is important to remember that our provenance, the nature of our core-being, is that very stainless purity. Inner sensation and clarity of non-discrimination emerge like the expanse of the clear sky. This represents the clarity of dharmakaya. Similarly, one can find many passages that help to illustrate the mind’s essential nature, the way through which we can recognize with constancy the way the mind arises, and that this buddha-like essence is always here, we simply fail to recognize it. These pithy instructions are often essential in nature; short and sweet, relaxed and expansive. Tibet in the 15th century bore witness to a tremendous amount of spiritual distillation and passionate vigor that lead to a structuralism that allowed for the foundation of the Geluk lineage and the subsequent philosophical and scholastic discourse. 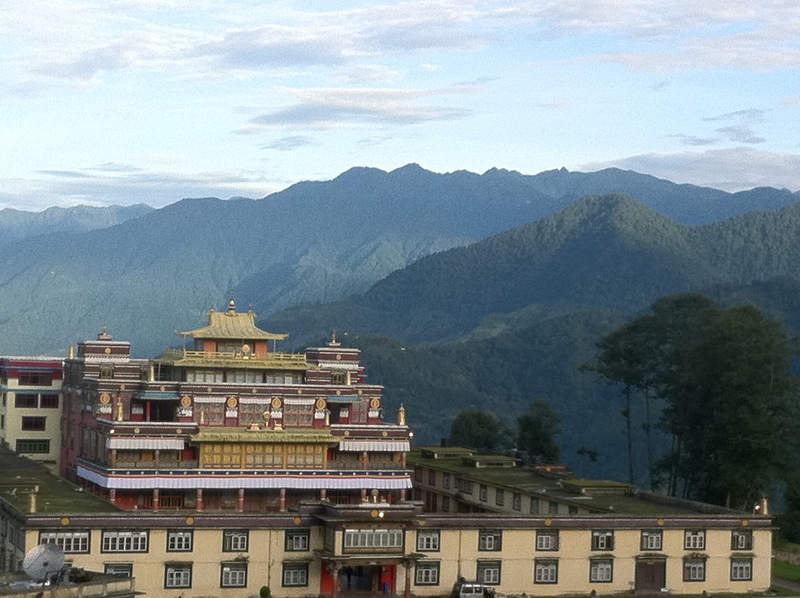 It was also a period that witnessed the rise of teachers like Tsangnyon Heruka, Drukpa Kunley and Thangtong Gyalpo, all of whom sought to laugh in the face of convention; for them the central loci of dharma was the authentic practice of dharma, where an atmosphere of iconoclasm and openness tempered by rigorous personal dedication to samaya and the stream of essence dharma was of prime importance. I am captivated with a giddy curiosity around what it means to bring this spirit of free enquiry, of dedicated vision, and the certainty needed to abandon some of the heavy dead weight that accompanies our practice. Can we apply the leaches of pure vision to the engorged stagnant well fattened body of our assumptions and dull fundamentalism so that the blood of heavy density is removed? Can we allow ourselves to embrace siddhas, or complete madmen, like Tsangnyon Heruka and Thangtong Gyalpo in our conception of “practice”? How do we add the rowdy passion and the complete assembly of the ganachakra to the steady perhaps overly controlled conception of how the middle way appears? Can we embrace the full luminosity of mind? When does the structure of our spiritual path get in the way? How do we defer to the structure rather than letting ourselves begin to walk? The slight change in perspective that Tsangnyon Heruka offers us in his Life of Milarepa, through his suggesting that we may all achieve complete enlightenment by the power of the dharma blended with our own effort is a gift. It allows all of us to assume a seat in the larger ganachakra of buddha-beings, to gain access to our true inheritance as the young Milarepa did, and to transcend the death blows that our inner tendencies towards the distancing aspects of philosophy and rationalism (perhaps represented by Geshe Tsakpuhwa, the one who poisoned Milarepa). Thus freed, we are able to experience all that he has experienced; we are free to know that our practice can ascend to great heights; we are free to know that this buddha nature of ours will naturally dawn. My interest in milarepa is very deep,but i don’t have proper instruction from a Guru to teach me,I like to learn more and get invole in the practice, as you have receive direct instruction,can you guide and teach me.I have sponsor an image of Milarepa in Tibet,but I don’t have a chance to see the image while my visit in July.The ban on foreigner to visit Tibet.I have some bad karma done,and it some where resemble milarepa,past wrong done before he succeed to be yogi.